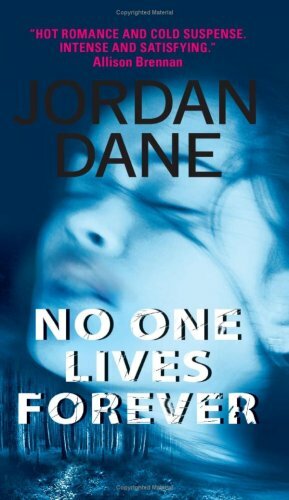 by Jordan Dane | Mystery & Thrillers | This book has not been rated. Born to a childhood pitted by violence, Christian Delacorte is desperate for peace when he embarks on a new life with the woman he loves, Detective Raven Mackenzie. But soon his old life comes calling—in the tempting form of a mysterious woman assassin. Jasmine Lee is determined to collect an old marker from Christian. He owes her—big time—and she needs his help freeing her kidnapped lover, Nicholas Charboneau—a powerful mogul linked to Chicago's underworld. Christian doesn't trust her, but Jasmine entices him to leave Raven behind when she reveals his shocking connection to Charboneau. Christian has seven days to attempt an impossible rescue of the father he never knew. And when a woman assassin with ulterior motives makes a lousy ally, Christian is alone to face the stark reality that no one lives forever . . . and he might be the next to die. Surprise RABCK on the way to Mysterious...I'm sure you would have put it on your wishlist eventually! The third book of three and a new release to boot !